Image of Joseph Satuye (aka Joseph Chatoyer), Chief of the Black Caribs aka Garifuna. The millions of Africans living in Central America, South America and the Caribbean - in Spanish language nations - are among the most rich examples of African cultural survival in the so-called New World. The Garifuna represents a very unique example of an early African community to the Americas that held a firm grip onto African kinship and cultural ties. No Garifuna nation will be found on a map today, but there are some old maps that represent a region in northern South America by the name of "Garibana." Here is the image of one such map found in a vintage shop in Southern California. 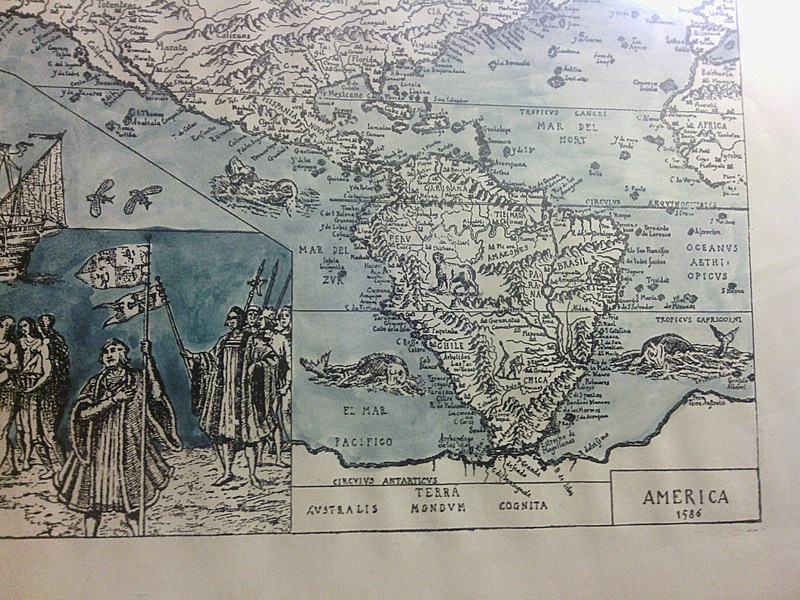 Partial image of map dated 1586 representing America. Zoom image on 1586 map representing region described as "Garibana." Some commentators report that the Garifuna were in the Americas as early as the 1300s, migrants from the West African Mali Empire. See GAHFU, Inc., Garifuna History. See also African Kingdoms: Medieval Warfare Between Ghana and Mali Empires (Mansa Musa chronicles travel tales from Mali Empire to East Africa and Middle East cir. 1300 C.E). Other commentators argue that the Garifuna arrived from ship-wrecked European slave ships that landed on the island of St. Vincent (aka Saint Vincent, San Vicente) as early as 1635. A lay historian from Greater-Accra, Ghana, Kwekudee, asserts they may be kin to the Akan Fante people of West Africa. 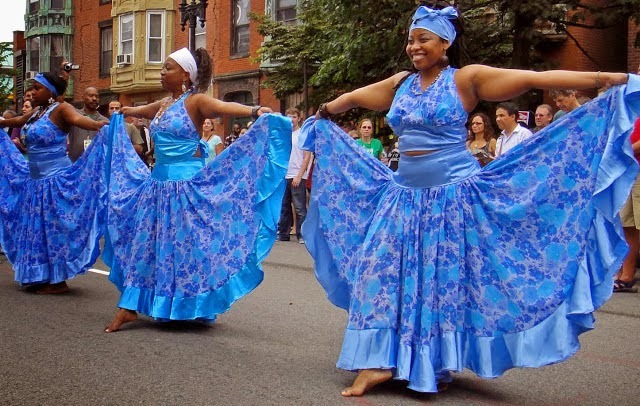 Kwekudee considered factors such as the Garifuna's matrilineal inheritance system, their dancing styles and their food, with the staple food being cassava. Photo: The Chief Joseph Chatoyer Garifuna Folkloric Ballet of New York. Central to the Garifuna culture is a strong collective identity as a people. The Garifuna have their own unique Garifuna language, music and cuisine. The spiritual tradition of the Garifuna centers around an ancestral reverence, honoring the wisdom of the ancestors they have relied upon for survival for centuries. Like many African communities adjusting to slavery and the lost of family and tribal kinship ties, the rhythms of the drum and dance would help to create common songs around a common struggle. 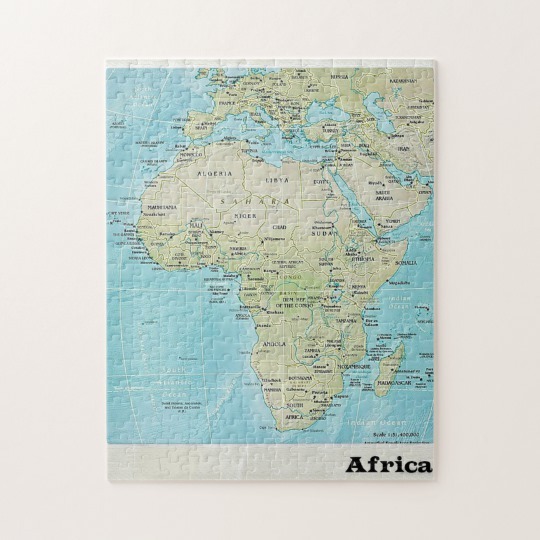 This reunified families and villages torn from their traditional homelands in Africa. 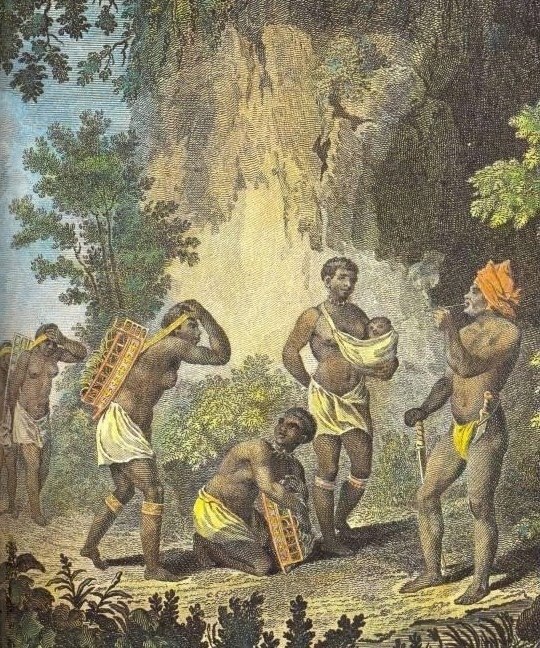 The Arawak and the Kalinago were the native inhabitants of St. Vincent at the time Africans began to arrive. The Kalinago, known generally as the Caribs (hence Caribbeans) by the Europeans, intermarried with the Africans, as did the Arawak. 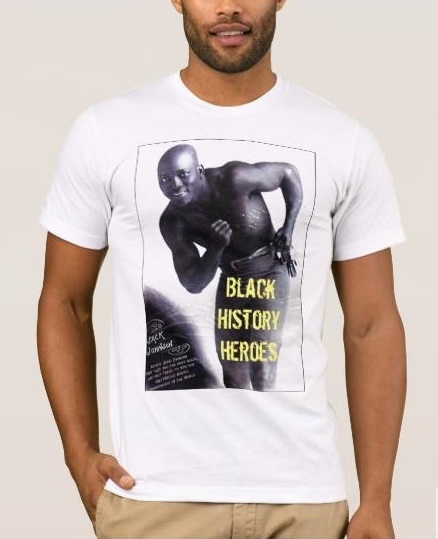 The population of natives to the island refused to return Africans to European slavers, according to the accounts of Jean-Baptiste Labat, a Jesuit priest who lived in the Caribbean colonies at the turn of the 1700s. Historical accounts report Africans escaping European slave plantations in the Caribbean for St. Vincent by canoes and rafts. By the 1700s the mixed community of Africans and native peoples on the island of St. Vincent had increased and the people became known as the Garinagu (later Garifuna). By 1763, under the Treaty of Paris, all European claims to the island of St. Vincent was ceded to the British. The British would have to go in, however, to actually take possession over an island populated by free people. The warrior-leader of the Garifuna was Joseph Satuye. For decades, Satuye organized the Garifuna as African Maroons in war against the colonial British mission. The British forces, however, overwhelmed the Garifuna after many decades of battles. By 1797, there was a final surrender by the Garifuna. According to the GAHFU, to this day the Vincentians "make an annual pilgrimage to the island of Beliceaux to pay homage to the Garifuna people who were imprisoned on that island where half of the population died of Yellow Fever, other diseases and starvation." According to the Bay Island Diver, A diver's guide to the Bay Island of Honduras, the origins of the Garifuna in Honduras was the result of the following. One group of slaves was "parked" here during this time during the heat of a battle (between the Spanish and British). When the winners came to collect them, the slaves refused to go. These are the Garifunas who populate much of the Bay Islands to this date, still maintaining their own cultural identity and language. Punta Gorda on Roatán is one of many villages where they still make their homes. 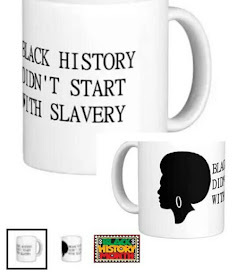 While the British defeated the Garifuna in St. Vincent, they could not enslave them. An attempt at enslavement would certainly have led to an unending and continuous effort at revolt on the island the Garifuna knew very well. Instead, the British imprisoned Garifunas on the island of St. Vincent and literally exiled populations of the Garifuna from St. Vincent to the Honduras coastal island Roatán (aka Ruatan, Rattan). The British may have sought to establish a new slave plantation from the Garifuna labor in Honduras, but fortunately it was without success. The Garifuna people would not know slavery in Honduras, only poverty. The Garifuna would grow their populations from Honduras and expand among the coastal nations of the Americas -- with populations of Garifuna now living in Belize, Nicaragua and Guatemala. Today, the Garifuna are present in Central and South America, as well as across the Caribbean and the United States. "One of the unique things to me about the Garifuna spirituality is that the sacred and the profane seems to exist simultaneously. In the western understanding of religion and spirituality, that could never happen." Video: A documentary film produced by the National Garifuna Council of Belize. The film addresses Garifuna Culture including ritual, music, dance and language. "This is what our ancestors have left for us and this is what God has given to us, our own culture." "We have a huge battle to rescue what is ours again. And we have to do it. And we can do it." Video: This film chronicles the challenges and struggles of the Garifuna people to preserve their identity. A Ben Petersen Film A Brigham Young University Communications Department Production. Beautiful so proud to be garifuna !! !